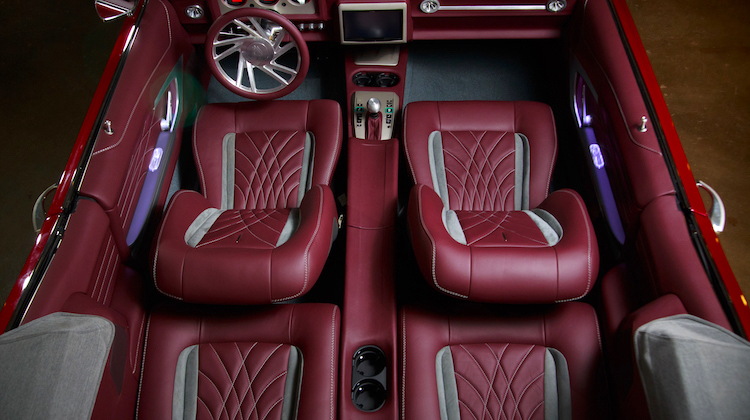 What does it take to create an award-winning hotrod interior? Television shows would have you believe it’s a simple task that can be completed in only a week. But that’s incredibly misleading. In fact, the process can be very grueling. Take for example the interior in this 1971 Chevrolet Chevelle. Dave Vos, owner of Customs by Vos in Griffith, Indiana, estimates that it took his team nearly 1,000 hours to complete. If the name sounds familiar, that’s because Customs by Vos has won many prestigious interior awards and was featured in the pages of Street Rodder, Super Chevy and American Bagger magazines. Renowned for combining modern, cutting-edge designs with excellent craftsmanship, Customs by Vos attracts clients from across the United States. 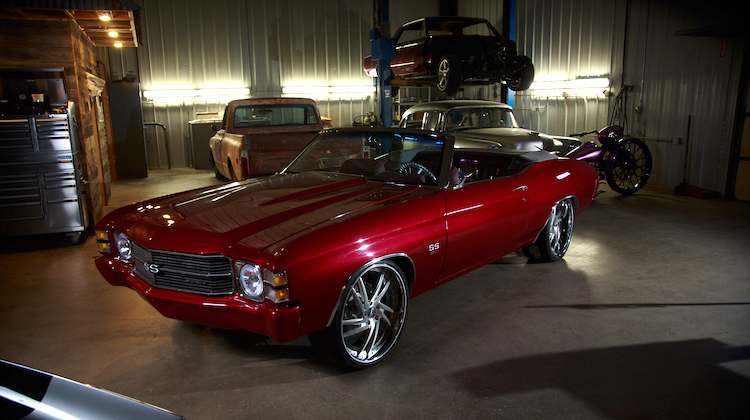 Many admire the shop’s work so much that they give Vos and his team carte blanche to do whatever they want — which is exactly what happened with this ’71 Chevelle. “The customer gave me free reign with design, and wanted something with a modern look. He wanted something that would set apart his car from others,” Vos said. The team didn’t disappoint — custom fabricating and trimming nearly every aspect of the Chevelle’s cabin in the finest materials. 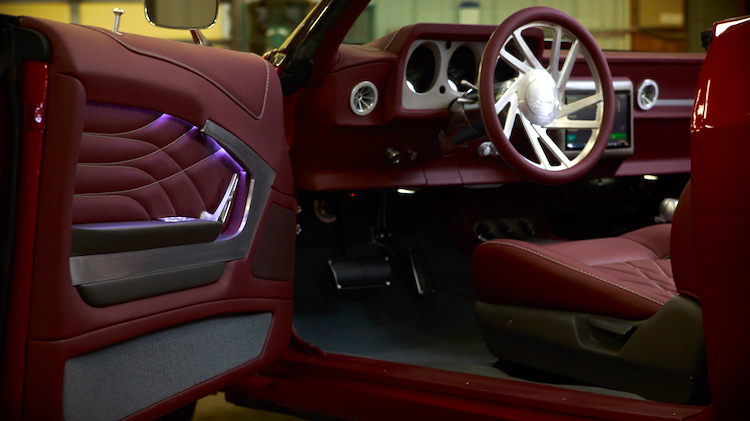 Vos choose a unique color palette for the project, combining burgundy leather sourced from Hydes Leather’s OEM Bentley Motors line with medium grey suede. The two colors and textures contrast beautifully, especially on the seats. Forgoing the original buckets for a more modern look, Vos retrofitted front seats from a 2000 Honda Accord in the Chevelle’s cabin. 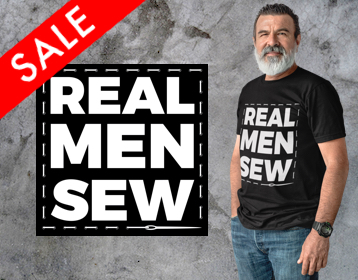 He then trimmed them in a stunning pattern, including flared diamond stitching on the insert panels and his signature double topstitch along the perimeter. The rear bench seat was replaced with two bucket seats built from scratch to resemble the front row. Vos started with a plywood structure that he layered with high-density foam before shaping and sanding it to match the dimensions and contours of the front seats. The choice to replace the factory bench seat with individual buckets was more than just cosmetic. 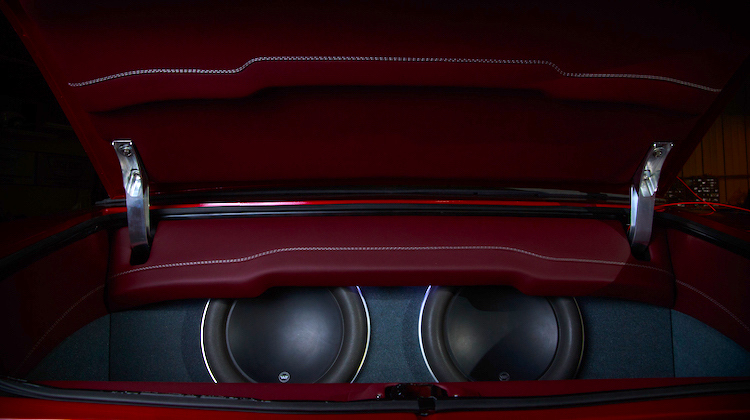 “The bottoms lift up for access to hidden storage and the amplifier for the interior speakers,” Vos explained. To split the seats, Customs by Vos fabricated a gorgeous cascading waterfall console that extends the full length of the cabin and butts up against the dashboard, which was also created from scratch. Designing and building the dashboard was an immense undertaking. Not only did it have to look great, but it also had to fit gauges, air condition vents, electronics and other creature comforts. Of course, ergonomics also factored into the project. 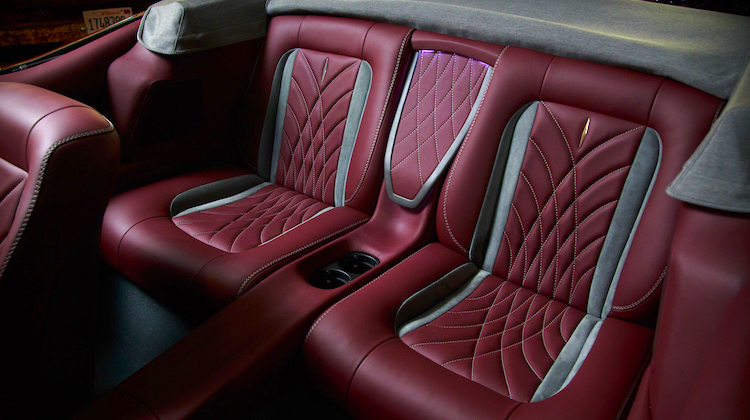 Of course, it’s all wrapped in supple burgundy leather and adorned with a double topstitch to match the seats. Keeping in line with the modern theme, Customs by Vos chose to replace the Chevelle’s flat door panels with custom-made panels with 3D shapes. To start, the team fitted 1/16″ thick aluminum sheets to the doors to account for proper shape and clearances. The metal was then covered in paperboard, on which Vos sketched his design. The drawing served as a pattern for the front and rear door panels. 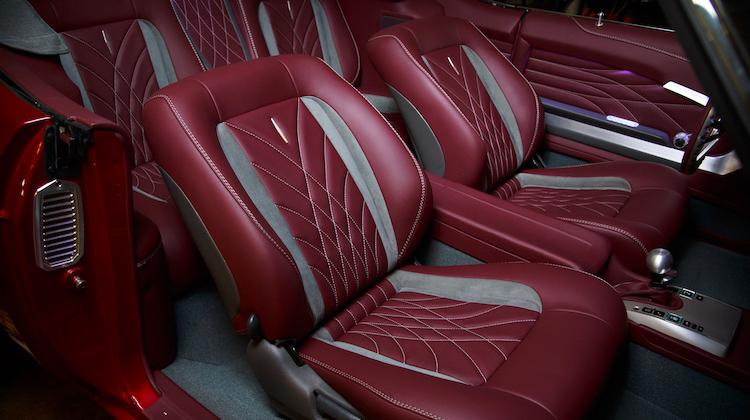 The panels were then wrapped in leather and adorned with the same flared diamond stitching found on the seat inserts. A handmade armrest with an impressive billet aluminum ornament became the focal point of the driver and passenger doors. The Chevelle’s floor received as much attention as the rest of the interior. The team then covered the floor in grey Daytona weave carpeting and finished the edges off with leather-wrapped sill plates. In building this ’71 Chevelle’s interior, Customs by Vos went far beyond the typical services of an auto upholstery shop. Not only in custom fabrication but wiring too. The team installed all electrical components, including the touchscreen navigation head unit, JL Audio subwoofers and speakers, LED ambient lighting and even power windows. Awesome, indeed. In fact, we’d call it a masterpiece. See more! To learn more about Customs by Vos, visit CustomsbyVos.com. You can also follow them on Instagram and Facebook. Amazing work as always by Vos! Enjoy following from Germany! Wow ,wow, and wow. That is so awesome. I am so glad you guys said the amount of time it takes to do work like that. People don’t realize how many hours are involved in upholstery work. That interior is truly a work of art!!!!! Congrats! Eye popper! Looks like someone forked over $50,000!